Jamuna Bank Job Circular 2018 found here. Jamuna Bank will recruit Various Posts for the year 2018. Jamuna Bank New Job circular 2018 for the post of different fields published on Particular dates & see the circular for details. Interested and eligible Bangladeshi Citizenship candidates are requested to Apply Online for the vacant positions. 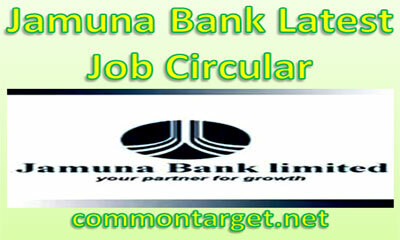 Jamuna Bank latest Job Online Application Deadline is See the Circular for more details. Jamuna Bank Limited, one of the renowned private commercial Bank in Bangladesh having its business network with 102 branches across the country is looking fresh Management Trainee to meet the growing needs of its expansion program. Jamuna Bank reserves the right to accept or reject any application or appointment of the candidates without assigning any reason whatsoever. Application Instructions: Interest and eligible candidates are requested to apply by online through only Jamuna Bank Website i.e. http://jamunabankbd.com/career. Candidates need scanned passport size photograph and signature for online application.